Since Tintin first appeared in 1929, he has captivated generations of children and adults alike. Millions followed Tintin's journeys from the wilds of the Congo to the streets of Prague, Moscow, and New York. 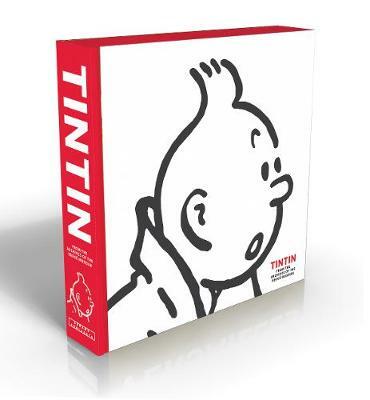 Published in 2013, Tintin: The Art of Herge attracted Tintin fans everywhere by offering insight into this iconic character, with incredible access to original sources from the Herge Museum in Belgium. Illustrated by images of this unparalleled collection, Tintin: The Art of Herge provides a rare glimpse into Tintin and Herge's world. Previously unpublished drawings depict how the beloved characters were created and offer fresh commentary. Now, this popular book is available in paperback at an appealing price point. Buy Tintin: The Art of Herge by Michel Daubert from Australia's Online Independent Bookstore, Boomerang Books.